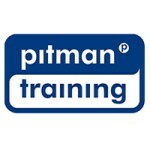 This course is one of our fantastic leadership courses offered by Pitman Training it focuses not just on learning leadership skills, but also includes techniques to analyse what sort of a leader you might be. Carear Path Ideal for those with aspirations to progress to a Supervisor, Team Leader or Manager role. From here you could enhance your learning experience with additional Management Training to affirm your managerial aspirations and capabilities.